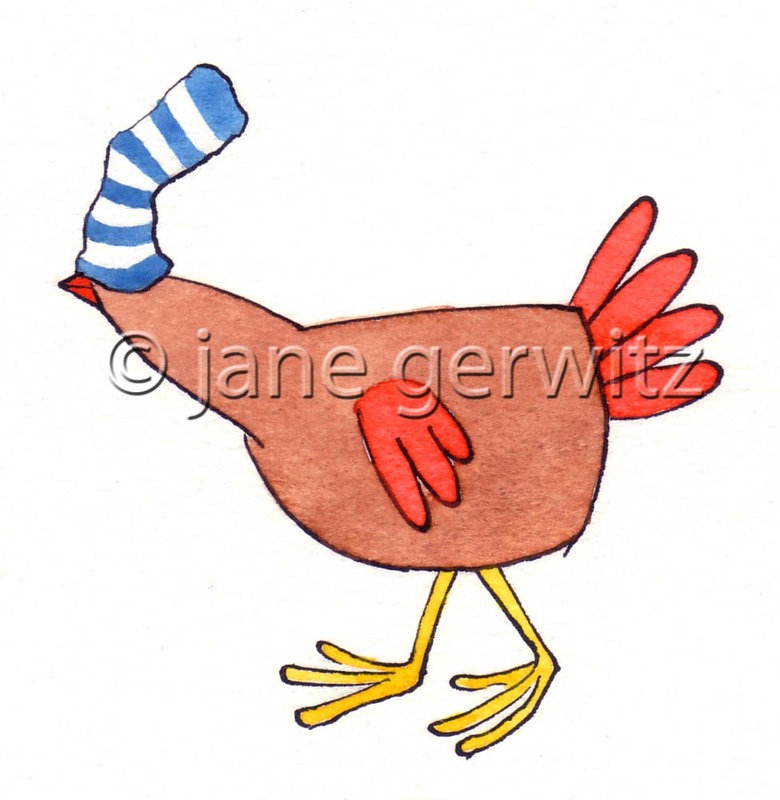 Jane Gerwitz: Chickens, chickens, chickens! Chicken with a sock on it's head! This is a picture I sold at the Under-the-Bed Sale, it's from a story I wrote about a chicken who finds a sock. The Sale is now over and and Ben Snowden's new show has just started, for more info about this click the Bingley Gallery. Sold some more Bradford Before the Hole prints! I create work on a wide range of subjects from the serious to the wacky. I previously worked as a freelance illustrator, creating illustrations that have featured on websites, in magazines, books, stationery and in various educational publications for children. I am now focussed on my own work and have been selling it from various outlets such as the Bingley Gallery and the Handmade Alternative shop which is now in Godwin Street, Bradford. © jane gerwitz. Simple theme. Powered by Blogger.